Spending a few hours at the movies naturally means becoming one with the characters, understanding their surroundings, relating to their journey among others. During the course, one also becomes a part of the film maker's vision. However, director Sanjay Leela Bhansali's world is very different. His films are in a league of their own. They are known to create pure magic on the big screen. As a cinephile or regular moviegoer, all of us have witnessed Bhansali's larger than life, extravagant films, complete with detailed costumes, perfect characterisation, dialect and top notch production. His latest offering, the much awaited - Padmaavat, is not just a regular film. It is a flawless cinematic treat! 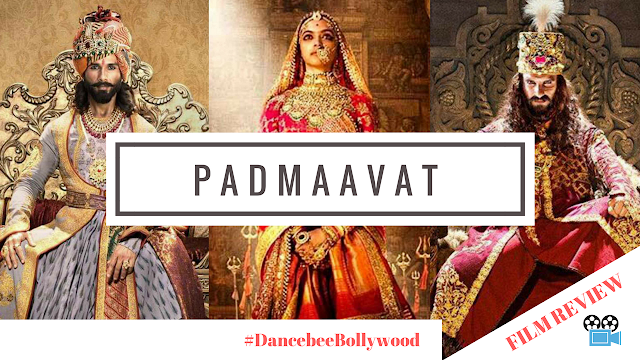 Bhansali's ode to Rani Padmini and the valour of Rajput dynasty is inspired by 16th century Sufi poet Malik Muhammad Jayasi's poem - Padmavat (also known as Padmawat). It takes you back in time - 13th century, to be precise. The film starts off with a narration, that introduces the audience to the history as well as key characters. Maharawal Ratan Singh (Shahid Kapoor) is a man of courage. He believes in staying true to the Rajputana values and culture. Padmavati (Deepika Padukone), the fierce and graceful princess of Singhal Kingdom, meets Ratan Singh. The two get married and the immaculate beauty becomes Rani Padmavati of Chittor. 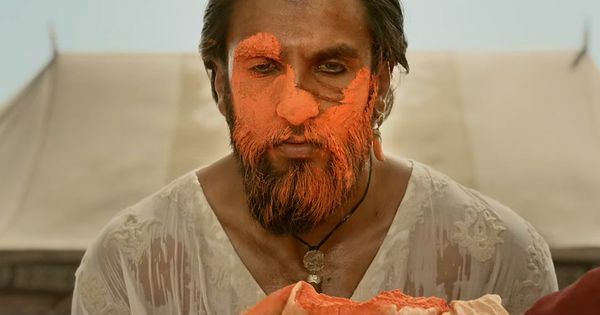 Enter Alauddin Khilji (Ranveer Singh), whose lust and fanatical approach of 'owning' and achieving everything in life ensures that the Mewars and Khaljis are up against each other. War ensues, giving way to a climax of epic proportion. These are just broad highlights from the 150 minute long film, that keeps you hooked on right till the end credits roll out. Honestly, I couldn't even push myself to leave the theatre during intermission. Ditto post end credits! I took some time to soak it all in - the grandeur, effortless acts, brilliant costumes, chilling BG score. That's the kind of immersive experience I am talking about. Very few films today have that kind of magic. It's hard to miss the efforts that have gone behind getting every minute detail right. Be it the costumes, sets or finely executed VFX; every element in the film creates an impact. Rimple and Harpreet Narula, Maxima Basu have all done an excellent job in the costume department, with the film marking the former's foray in Bollywood for the very first time. Their rich, well crafted outfits contribute to the personality of every character. If you are smitten by Rani Padmavati's stunning outfits already, be prepared to fall in love with some gorgeous outfits worn by Mallika-i-Jehan Mehrunnisa (Aditi Rao Hydari) as well. 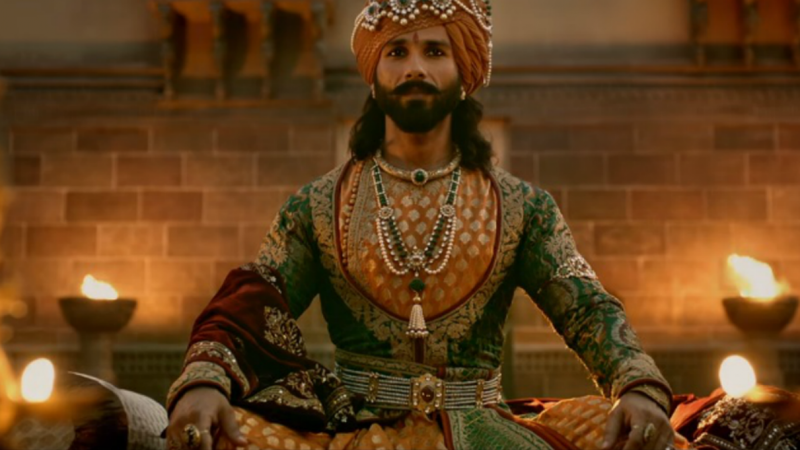 Ratan Singh's costumes stand out with some really intricate design. The armours for both Singh and Khilji have been created with perfection. Sudeep Chatterjee's excellent cinematography adds to the cinematic experience, as he captures the grandeur of Chittor and mystery around Kara perfectly. Words fall short when it comes to describing the background score by Bhansali and Sanchit Balhara. Adds a lot to the atmosphere and flow. Definitely one of the strongest highlights of this film! Editing is good, though one does feel that the first half could have been a bit more crisp. Nevertheless, a job well done by Bhansali and Jayant Jadhar and Akiv Ali. While Ghoomar won hearts across the seven seas, the audience couldn't enjoy much of the film's music, until the jukebox was launched a few days ago. However, after watching the film, you will fall in love with the music of Padmaavat a lot more than before. The film has some melodious, poetic tracks that you are sure to play on loop after leaving the cinema hall. Ghoomar is one of the most aesthetically shot and brilliantly executed song in recent times. Kruti Mahesh Midya's choreography is fabulous. Another favourite is Khalli Balli. Although it might give you major 'Malhari' vibes, Singh aka Khilji's energy will leave you floored. Choreographer Ganesh Acharya has done a fantastic job with this song. Both Ek Dil Ek Jaan and Binte Dil will melt your heart. The two tracks are poles apart, making them special in their own way. There is also a lovely folklore track played during Holi. Controversies and rumours notwithstanding, Padmaavat has been eagerly awaited. Especially since it brings together some of the finest actors of our generation - Shahid Kapoor, Deepika Padukone and Ranveer Singh. Time and again, I have been vocal about bringing Kapoor and Padukone together. There couldn't have been a better film than Padmaavat to bring these powerhouse artists together. Their chemistry is endearing. The duo will warm your hearts with their exchange of smiles and glances. Their twinkling eyes speak louder than words. And of course, Singh's menacing Khilji adds the perfect edge. Casting is another highlight that deserves a mention (and some applause too). Every actor fits their respective character like a glove. Even the ensemble cast. Jim Sarbh shines bright, as he essays the role of a very complex Malik Kafur with utmost ease. Aditi Rao Hydari looks ethereal as Mallik-i-Jahan Mehrunissa, and delivers a fine performance. Raza Murad is perfect as Jalaluddin Khilji, while the actor essaying Raghav Chetan is also very good. Speaking of lead protagonists, there is no doubt that Padukone shines as Rani Padmavati. Her on screen presence is very powerful. As Padmavati, Padukone is graceful, fierce and exemplary. She smiles with a teary eye, while the next moment, she is seen empowering the women of her empire with a lot of grit. Only an effortless actor of her calibre can show such excellent range within a span of 150 minutes. Her emotions are so strong that they are bound to leave you teary eyed. Her performance is proof that she has immersed herself, heart and soul, into this character. The grace, dignity and honesty with which Padukone has essayed this character reflects in her act, making the audience that the queen has indeed descended on earth again. Wild, frenzied, manipulative and edgy; Singh's performance as the megalomaniac Turko - Afghan Sultanate ruler is phenomenal. Every time he makes an appearance on screen, he creates furore. It's like a storm that cannot stopped and continues to rage. 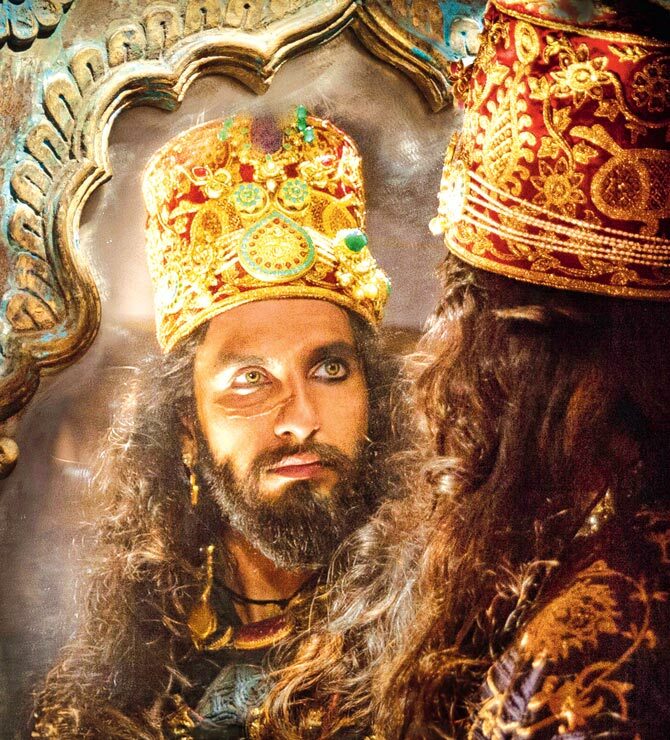 The actor breathes life into Khilji's dark, lustful, mysterious and fanatic personality. He displays myriad emotions throughout the film, ranging from rage, excitement, lust to scheming, aggressive among others. The efforts that have gone behind the changes in his physicality have paid off! His spine chilling expressions in some scenes can leave any individual petrified. Singh is a supremely talented actor, who is known submit to his director's vision and give his all to the character. Well, we don't think anyone could have pulled off this menacing Khilji the way he did. This can easily be labelled as Singh's best performance since his debut in 2010. Like always, we reserve the best for the last! If Padukone and Singh's respective performances leave you in awe, it is Kapoor's impeccable act that wins, right from his first appearance in the pristine woods of Singhal. He is sure to rule your heart with his flawless, understated and remarkable act. As the valiant Maharawal Ratan Singh, the actor owns the screen every time he makes an appearance. He doesn't need to shout or scream to make a mark, as his effortless expressions say it all. Kapoor comfortably steps into the shoes of a Rajput king, with the perfect personality and displays unparalleled poise and elegance. Throughout the film, Kapoor's body language and nuances are perfect, making the audience believe that they are indeed watching a Rajputana King walk around Chittor, beaming with pride. Its amazing how we have seen the actor transform from a drug addict music artist to a proud soldier and now, a brave King in a span of just three films. Kapoor is royalty personified, with the right attitude and style. His dialogue delivery is outstanding, as he maintains a range of expressions and modulates throughout the film, while maintaining the dignified tone! 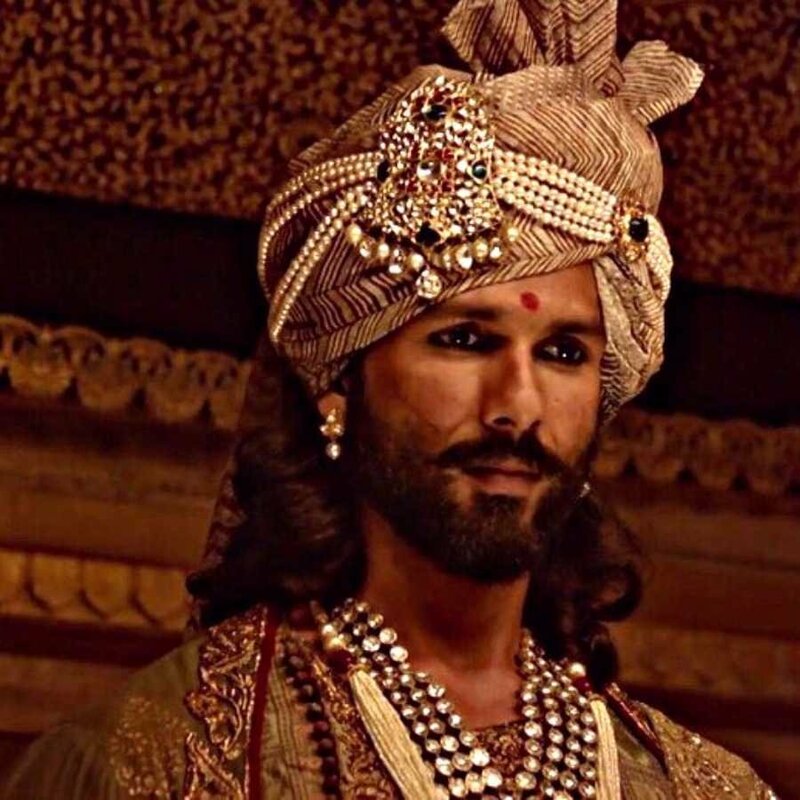 The intensity with which he has essayed the role of Ratan Singh is commendable. One of his personal best and clearly, one of the finest performances we have seen in recent times (he is making it a habit now, and a good one at that). Definitely a memorable one, that shall be remembered for a long, long time! As captain of this magnificent ship, Bhansali deserves a strong round of applause. Add to that, tons of deserving praises. Padmaavat is a brilliantly crafted, well executed film that presents the rich Rajputana history, heritage and culture in all its glory. With its sheer magnitude, opulence and grandeur; the magic of Bhansali is sprinkled all over. This epic tale of courage couldn't have been presented in a more beautiful way. The climax is one of the best, with a fantastic face off and some marvellous moments, that will leave you with goosebumps all over. 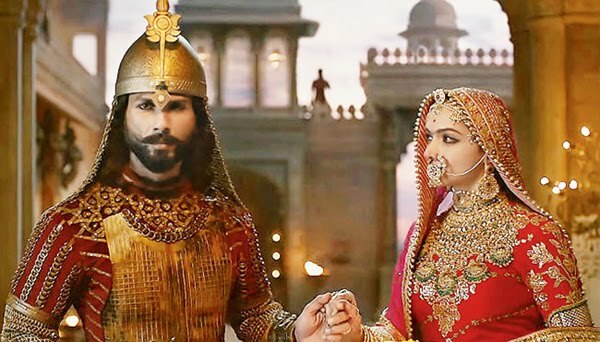 In the years to come, millennials like us will proudly look back and refer to Padmaavat as the 'Magnum Opus' of our times. As a cinephile and ardent lover of well crafted films, I urge you - please do not miss this magnificent, cinematic experience for anything. Go, witness the magic unfold. Controversies and unnecessary misjudgements be damned! I am booking my tickets for yet another show this weekend. After all, some experiences are totally worth it!! Verdict: Highly recommended!! Do yourself a favour and watch this stunning poetry in motion. Easily, one of 2018's biggest blockbusters! The film deserves 200 / 100, if there was a way.